There are some symbols that unite the world: the red ribbon which brought such momentum to awareness of HIV/AIDS and the white band against global poverty. Now these are joined by a new symbol. The Road Safety Tag is the global symbol of the movement to improve safety on the roads. It has been adopted as the official symbol for the United Nations' Decade of Action for Road Safety 2011-2020, which aims to reduce road deaths and injuries across the world. Nearly 1.3 million people die every year on the world's roads, and up to 50 million are injured. By wearing the Tag you are demonstrating your support for the Decade of Action, and your personal commitment to be safe on the road. 35 mile ride with some climbs to try out the new gear range and fit. MIDDLETOWN, Ohio — A gigantic 30-feet-wide, 15-foot-deep sinkhole is blocking part of a bike path in Butler County. Middletown officials discovered the hole on Monday, and believe heavy rainfall contributed to its formation. The Middletown City Council has passed emergency legislation to fix the hole, reported ONN's Lot Tan. While out for his daily walk, Tony Barnett saw the gigantic sinkhole before orange warning barrels were in place. "It's dangerous, I'm glad they took action to fix it," Barnett said. Officials said the area was underwater on Sunday, and the sinkhole was discovered once the river receded. "It's probably 60 years old now and it's not unheard of something that age to corrode over time and collapse, especially with the river and all the rain we had," said Scott Tadych, Assistant Butler County Engineer. It will cost $265,000 to fix. That price tag is too high for some. "That's way over what it should cost to fix it," said resident and biker Thomas Pence. The price isn't overboard according to local engineers because the sanitary sewer pipe below the path is 1,000 feet long. "The 8 to 9-square-mile cost of setting up and bypassing pumping is significant," Tadych said. Construction will begin Monday and take about three weeks to finish. Local homeowners should not be affected by the work. The "Bill" in question is 80+ New York Times photographer Bill Cunningham. For decades, this Schwinn-riding cultural anthropologist has been obsessively and inventively chronicling fashion trends and high society charity soirées for the Times Style section in his columns "On the Street" and "Evening Hours." Documenting uptown fixtures (Wintour, Tom Wolfe, Brooke Astor, David Rockefeller—who all appear in the film out of their love for Bill), downtown eccentrics and everyone in between, Cunningham's enormous body of work is more reliable than any catwalk as an expression of time, place and individual flair. In turn, Bill Cunningham New York is a delicate, funny and often poignant portrait of a dedicated artist whose only wealth is his own humanity and unassuming grace. MIDDLETOWN, Ohio -- A sinkhole 30 feet wide and 15 feet deep poses a hazard for bicyclists in a part of southwest Ohio. 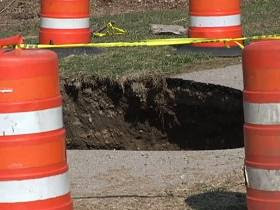 The hole that opened up earlier this week has chomped a big bite out of a bike path in Middletown, halfway between Cincinnati and Dayton. City Public Works Director Dave Duritsch tells the Middletown Journal that ground saturated from heavy rain sank into openings in a 60-year-old sewer pipe and was flushed away. He describes the pipe as "beyond its reasonable life span." The sinkhole and a section of the bike path have been blocked off with construction barrels. Work is expected to begin immediately to replace the pipe, fix the hole and repair the path. The ultimate Moulton takes spaceframe construction to a new level. Stainless steel 'pylons' replace head and seat tubes to further increase stiffness. Sublime ride comfort and breathtaking looks. Reporter's request: Can bikes and cars share the road? With more people on bikes, with cities reworking their streets to accommodate cyclists, and with spring around the corner, The Dispatch is putting together a rundown of the laws that govern people moving about on four wheels and two. Drivers: How do you feel about the bicycles using your route? Cyclists: How are you treated out there? Share your thoughts and experiences with transportation reporter Robert Vitale at rvitale@dispatch.com or call 614-461-5007. * Westerville plans to put out the welcome mat for riders on the Ohio to Erie Trail with a rest stop near Uptown shops. Funding is being finalized for a project that aims to make Westerville a destination for bicyclists. Brick sales and sponsorships are being solicited for the remaining $25,000 needed to construct the Westerville Legacy Train Depot. It's a $150,000 project that will include a variety of amenities for those traveling by bicycle. To be located in the city's Hanby Park at 115 E. Park St., the depot is part of a city trail loop. But it's also a section of the Ohio to Erie Trail that, when completed, will stretch from Cincinnati to Cleveland. The only rule for 30 Days of Biking is that you bike every day for 30 days—around the block, 20 miles to work, whatever suits you—then share your adventures online. We believe biking enriches life, builds community, and preserves the Earth. This is the second year, and third round, of 30 Days of Biking! Muskingum Mayhem is May 7th, 2011 - Ride THE WILDS! What: A 40-60 mile tour of the Wilds and AEP trails, with bypass and extension options. A marked course of mostly singletrack, some double track, and some back roads. Similar to the 2010 version, the Course passes through the Wilds, with viewing of bison, giraffe, rhino, and other wild animals! A support vehicle will be available at the Wilds and AEP. The wagon will be stocked with water, sandwiches, snacks and whatever you leave in there at the start of the ride. You can also get a ride back to camp! Where: Start/finish and camping at the Wilds North Country Camp. 1.5 miles north on Watson Rd. Watson Rd will be marked (2 miles east of the Wilds mtn bike parking lot, on SR 146). http://mapq.st/hAkfes gets you to the vicinity, then look for an open pipe gate and signs on the west side of Watson Rd. When: Saturday May 7th, 10 a.m. START- RAIN or SHINE!!! Arrive early! How: A donation of $25 is suggested for pre-registrants, $35 for after April 29th or onsite registration. T-Shirts will be available on site for $15. Why: Fully stocked cook out with Sierra Nevada Pale Ale after the ride. We encourage camping Friday and/or Saturday night (FREE). 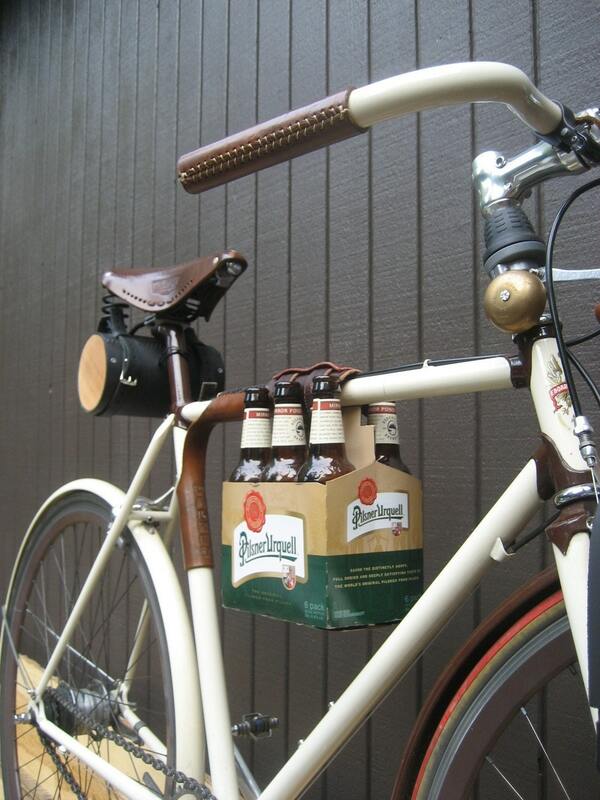 Originally designed by and for a Hardcourt Bike Polo aficionado, we since learned that this useful item can hold all kinds of things to your bike - why not a six pack? As a frame cinch, this secures just about anything somewhat narrow to your top tube - the strap is adjustable to hold variably sized items. This listing is for one frame cinch/mallet holder -- please note that it takes two mallet holders to secure long items like the mallets (or a rake or a shovel...) to your bike. Please indicate in your notes to seller if you plan to use these for bike polo or convo me and we'll provide sets in different colors to differentiate between the cues and work with you on making the right thing you need for your team. As always, please convo me with any questions or special requests. Made with love in my workshop in Portland, Oregon. In partnership with the Columbus Idea Foundry, Yay Bikes! presents its adventures building bamboo bicycles at the Bamboo Bike Studio in Brooklyn, NYC. Learn the whys & hows of bamboo bicycles and what it would take to build them in Columbus—plus take a spin on one of our three sweet rides. It'll be a fun and informative evening, please join us. RSVPs requested for snack planning. Contact us to sponsor this event! 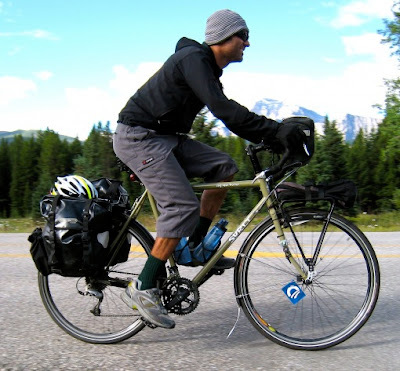 This is the second column in a series focusing on the economics of bicycling. Part 1 was "How bicycling will save the economy (if we let it)." Here's one way to fund bicycle infrastructure: Stop building freeways in cities. Better yet, tear down the ones we already have. Cities are starting to catch on that becoming bicycle friendly is one of the best investments they can make. Cities are also starting to realize that removing freeways makes more economic sense than maintaining or expanding them. In the last year, with the help of federal and state funding, cities like Baltimore and New Haven have been demolishingthe "highways to nowhere" that have divided their neighborhoods, drained their populations, and damaged their economies and their children's health since the 1970s. 8th Annual Gravel Rouser is this weekend! What's that at the end of the rainbow? Is it a pot o' gold? Nope! It's the 8th Annual Gravel Rouser Classic, a four-day buffet of recreational bike riding and low-key racing in Athens, Ohio. Participate in all four events or pick and choose as you please. To see recaps and results from last years Gravel Rouser, visit our Facebook page (www.facebook.com/athensbicycle) and scroll through the "Notes" tab. > Put on your green because it's time to party downhill style. Enjoy a group pre-ride of the Scatter Ridge Connector Trail, then get yourself back up to the top and line up for an individual time trial down this lovely new trail. We'll have a leprechaun timing this event so don't try anything funny. Meeting Place: Athens Bicycle, 4 W. Stimson Ave., Athens. Registration begins at 4:30. > Ride around town (about 10-12 miles total) to find five checkpoints, then head to the finish for a party and podium awards ceremony! This event has almost as much to do with luck as it has to do with fitness. Basically, it’s a crapshoot, so forget the performance anxiety and come join the fun! Food, beverages and podium awards sponsored by Trek and Athens Bicycle at the finish line. New finish line for 2011! It's a little farther from the start than in past years, so be prepared to ride about 4 miles back to Athens when the festivities wind down. It's a good idea to bring your bike commuting lights or plan a carpool home from the finish. Also, if you'd like to have a backpack with a change of clothes, lights, etc., brought to the finish, we'll have a vehicle at the start that can shuttle your stuff. Parking Information: There is parking available in the lot in front of the Oak Room. Gravel Rouser Survivors Barbecue: 3:30 p.m. to 5:30 p.m. at the Oak Room. > Hilly ride to Lake Hope State Park and back. 40-mile (round trip) ride plus optional 10-mile singletrack mountain bike race at the mid-point. Course will be marked and maps provided; ride at your own pace. Either race or spectate before heading home. Snacks will be provided at Lake Hope State Park. After the day's ride, enjoy the Gravel Rouser Survivors Barbecue at the Oak Room restaurant. Pork BBQ sandwiches, cole slaw, potato salad and beverages await riders, and is included with your registration donation. You are welcome to change out of your riding clothes in the bathrooms at the Oak Room. Individuals who are not participating in the Gravel Rouser can pay $10 and enjoy the BBQ buffet. Cash bar. > Okay so three days wasn't enough? You want some more? For day number four we will take our finest singletrack and drizzle it with some mud or maybe even snow. We’ll serve that over a bed of tired legs and garnish with saddle sores. Bon appetit! This ride will be about 20 miles long, including some parading and some racing if you desire. > The Gravel Rouser Committee will accept donations to offset costs for organizing the event and feeding participants. Suggested donation: $30 for the entire four days of racing or $10 per event. Contribute as you see fit. Please give your donation to any of the Gravel Rouser Committee members: Joey Boyle, Peter Kotses or Meredith Erlewine. The movement for biking and walking is led by passionate advocates and dedicated individuals at the state and local level. Advocacy Advance boosts those critical efforts by providing the tools, funding and expertise to increase biking and walking across North America. Get involved in this dynamic partnership to transform your community into a great place to bike and walk. Advocacy Advance is a dynamic partnership of the Alliance for Biking & Walking and the League of American Bicyclists to boost local and state bicycle and pedestrian advocacy efforts. With support from SRAM, Advocacy Advance provides targeted trainings, reports, grants and assistance to equip advocates with the specific tools they need to increase biking and walking in their communities. In 2009 and 2010, the League created critical research reports and provided direct assistance to advocates who used that information to take action. The Alliance awarded more than $500,000 in direct grants, scholarships and technical assistance to build the movement and jumpstart new campaigns across the nation. Get involved in this powerful initiative to improve biking and walking in your community. We're auctioning nine "One of a Kind" PUBLIC bikes. These nine bikes are one of a kind because they are the only PUBLIC bikes in the world with these colors. We're donating 10% of the proceeds from this auction to support three causes we care about:San Francisco Bicycle Coalition, Sunday Streets, and Streetsblog SF. We highly encourage you to donate to these incredible organizations or become a member. Our auction is live now and ends at 9 pm PST on Thursday, March 31, 2011. Below the bike photos are auction details. Sign up to receive our online Newsletters for more special offers and news, including entering our monthly drawing to win a $50 gift card. And follow us on Facebook and Twitter for additional deals. This is the generator hub we've been looking for. In addition to a having a high polish aluminum body, sealed bearings, and the same power output as other dynamo hubs, our Velo Orange hub also has a switch which disengages the magnetic drag used to generate the power. 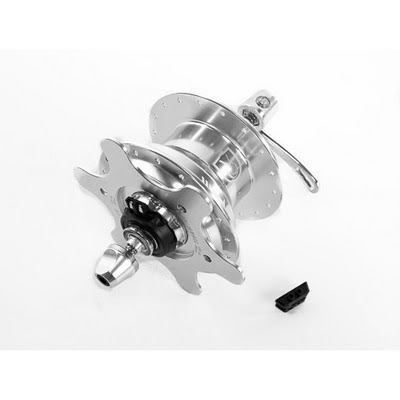 This means that if you're riding during the day, you can switch off your hub by turning the clutch plate on the hub body, and you'll be riding a wheel with no more resistance than a standard high quality front hub. When the sun starts to set, you can turn the clutch back, reengage the mechanism to power the lights. Includes the hub, quick release skewer, and wire harness quick connect. Does not include wires--you can buy some here or pick up some 22-gauge wire at a local shop. THE U.S. CENSUS BUREAU DEFINES AN "EXTREME COMMUTER" AS SOMEONE WHO SPENDS MORE THAN THREE HOURS GETTING TO AND FROM WORK. This is usually understood to be by car. It's not clear, then, how the Census would categorize Joe Simonetti, a 57-year-old psychotherapist who lives with his wife in Pound Ridge, New York. His commute takes him from the northern reaches of exurban Westchester County to his office just south of Central Park. It's about three and a half hours each way. When I heard about Simonetti's commute—some 50-odd road miles as Google Maps flies—I was vaguely stupefied. It may or may not be the longest bike commute in America, but it's certainly the most improbable. In my mind's eye, there was the dense clamor of New York City, then a netherland of train yards and traffic-clogged overpasses, then an outer belt of big-box retail, and then you were suddenly in the land of golf courses and five-acre zoning—where middle managers crowd the bar car on Metro-North and hedge-fund analysts cruise in 7 Series BMWs down I-95. The idea that this landscape could be traversed on a bike struck me as fantastic. This is America, where 65 percent of trips under one mile are made by car. But at 7 A.M. on a mid-November Thursday—among the last of the year on which Simonetti was going to ride—I packed my bike into the back of a hired minivan and headed for Pound Ridge, noting with subtle alarm the ticking off of miles as we pushed north. Simonetti obviously isn't the typical bike commuter. For one thing, he does it only twice a week, weather permitting. 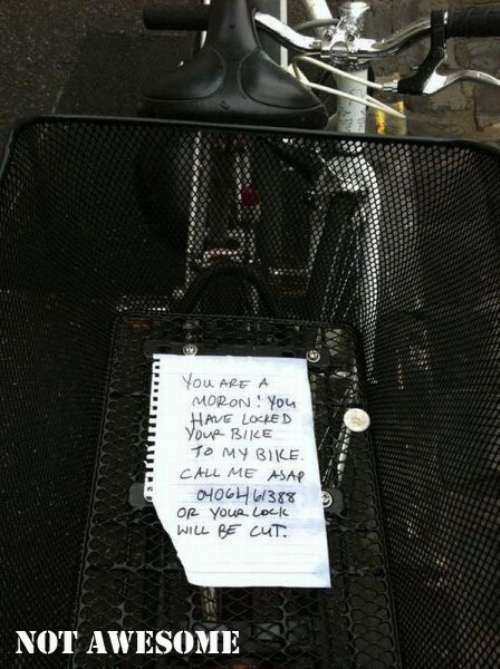 For another, he doesn't ride home the same day; he has a crash pad in the city where he can shower and sleep. But in following this supercommuter, I wanted to open a window into what it means to be a cyclist in a country where the bicycle struggles for the barest acceptance as a means of transportation. Why are there no ROLLER RACES in Columbus? Spring approaches get the blood flowing! Picture two single speed bikes set up on stationary rollers, and two racers going head to head in a 250m, 500m, and 2,000m races. Speeds and times simultaneously projected during each race. A wild event for racers and spectators alike, registration is free and will be from 6:30pm – 7pm. Preliminary races begin at 7pm and finals go off at 8pm. Prizes are awarded nightly for racers and fans alike, as well as drink specials from Switchback. This is the first race of a 6 race series. All racers are entered into a drawing for a grand prize to be awarded at the final event regardless of placement. Race all 6 events and you get 6 chances at the grand prize. There will be live music after the races at 9pm, check out the Monkey House website for details. Keep in mind that these are real bikes, wear or bring appropriate footwear (sneakers) and clothing, and come out ready to ride, ready to cheer, and ready for a good time.